Stadio Alberto Picco has been the home of Spezia Calcio since 1919. 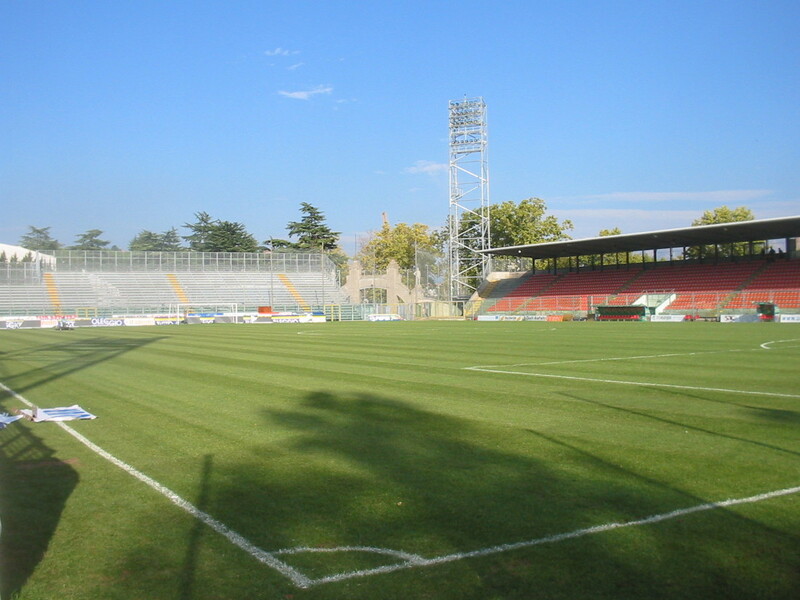 The stadium was built in a rush to provide Spezia with a home for their first league season, but wasn’t finished in time. The stadium officially opened on 7 December 1919 with a league match between Spezia and SC Genova (8-0). The stadium consisted of wooden stands in English style. The stadium was named after Alberto Picco, a former player that had died in the First World War. The first concrete stand was built in 1933 when a new main stand was erected. It took until the 1960s for a first concrete curve to follow. The stadium underwent further developments in the late 1980s when another concrete curve got built and the rest of the stadium got updated, resulting in a capacity of 15,000. Few changes have been made since though the stadium underwent some refurbishments in 2006 when the club promoted to the Serie B. Safety measures have furthermore reduced capacity to its current 10,000. 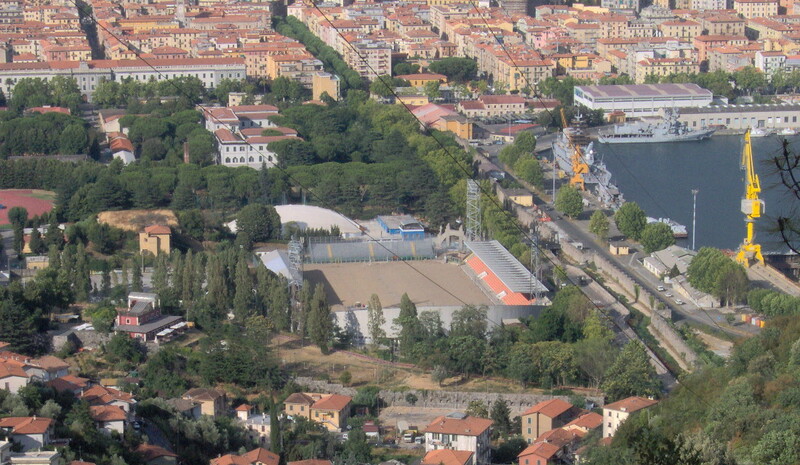 Stadio Alberto Picco is located in the south-west of the small city of La Spezia near the port area. 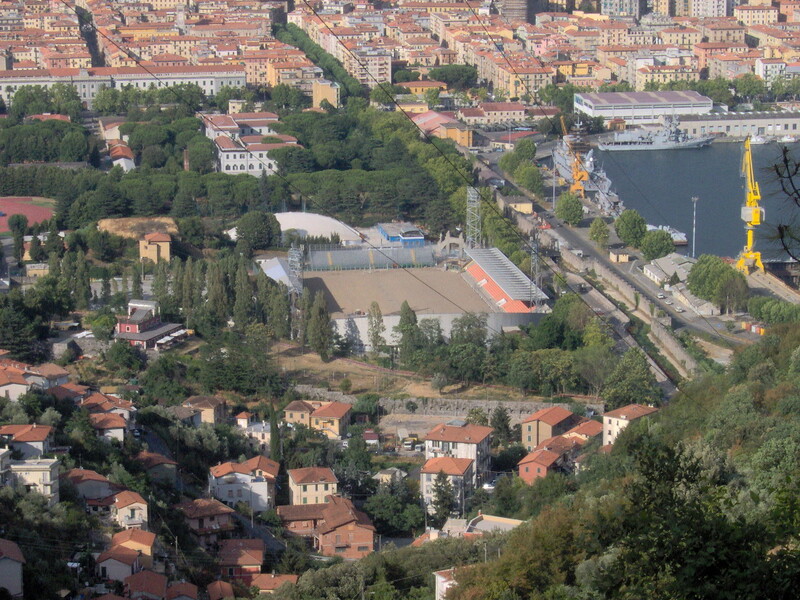 It’s a short 15-minute walk from La Spezia’s central railway station and even less from the city centre that lies in between the station and the stadium. Frequent direct trains connect La Spezia with Genova and Pisa. In both cases the journey takes a little over an hour. There are also reasonably frequent direct trains from Milan and Florence. Tickets for Spezia matches can be bought online through Etes, or in person at any of the authorised sales outlets. The Infotech store at the Via Nino Bixio 24 and Foto Meriggioli at the Corso Cavour 35 are two centrally located sales points. Tickets can also be bought at the ticket windows of the stadium before the start of the match. Spezia may sell out the odd high-profile match though. Tickets cost either €15.00 for a seat behind the goal, €25.00 for the Distinti side, or €40.00 for the main stand. Acspezia.com – Official website of Spezia Calcio. Myspezia.com – La Spezia tourist information.